Clearance! 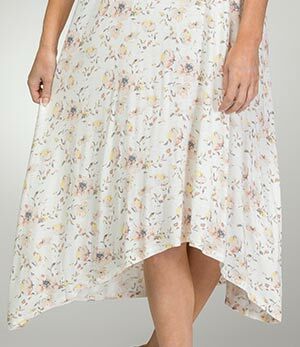 Rayon Dresses - Downeast dress comes in a Country Floral print in shades of peach, taupe and yellow on an ivory background. Care Instructions: Machine wash cold with like colors; do not bleach; lay flat to dry; cool iron if needed.